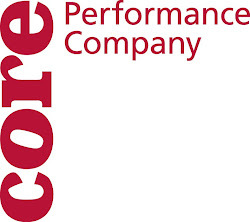 CORE Performance Company: Today is Food Day! Today is FOOD DAY and it is very appropriate that right now Sue is in Conway, Arkansas as part of The Moving Toward Health Project, CORE’s long-term collaboration with the University of Central Arkansas. The mission of MTH is to use dance to talk about health and to raise awareness of body image, healthy lifestyle and disordered eating. For the next few days she is meeting with faculty and staff of UCA and the Conway Public School system and members of the Conway Regional Health and Fitness Center. With this project we are embodying the arts' ability to engender communication and to facilitate change in the context of social issues. We are engaging the Conway community through meetings, workshops and forums and by creating and performing a new dance work that will premiere in Conway in February, 2012 during National Eating Disorders Awareness week. Stay tuned for more details!